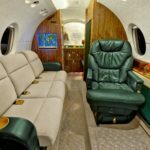 The Hawker 800XP is one of the most popular private jets for personal and business use. 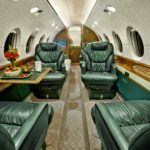 This midsize corporate jet is extremely spacious making your flight comfortable and enjoyable as you experience the amenities available. 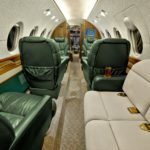 While traveling on your schedule in this luxurious Hawker 800XP jet, you will have the opportunity to skip all the hustle and bustle found at commercial airports including long security lines and time delays. 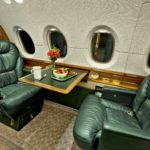 When you fly by private jet charter, you can just sit back and relax or conduct business. 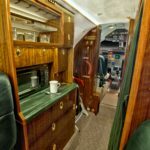 The features in this private jet include free WIFI, large leather Captain chairs, three person divan, dining or writing tables, microwave in the forward galley with full bar, DVD and CD players, flat screen TV with Airshow and more.